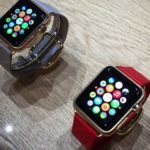 Consumer Reports ordered several Apple Watches, an equal mix of the Sports edition and the regular stainless steel edition, to test various aspects of the device including screen durability. The Apple Watch Sport screen, made of Ion-X glass, does scratch but only after going pretty far on the Moh’s hardness scale. The Sport edition of the device showed visible scratches after using a pick that is as hard as a masonry drill bit. 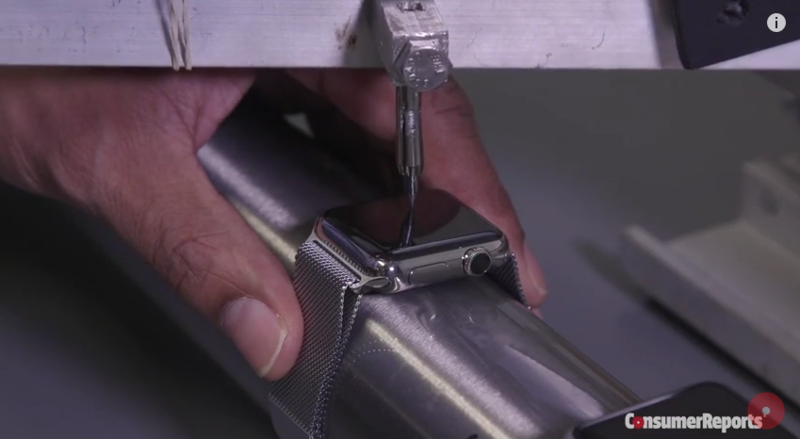 The Apple Watch screen, made of sapphire crystal, didn’t scratch under any of their tests. It doesn’t appear that Consumer Reports had a diamond pick to test it against, however we suspect that the sapphire display would scratch if a diamond pick was used. None the less, under everyday circumstances the screen on the stainless steel Apple Watch probably will not scratch. Consumer Reports also conducted tests to verify the accuracy of the heart rate sensor and other fitness features, including step counting. So far, they found that the Apple Watch sensors are very accurate. They also submerged the device in 3 feet of water for 30 minutes and found that the Apple Watch worked perfectly after removing it from the water. So far, the Apple Watch has past the majority of tests put forth by consumers and professionals. If you have already received your Apple Watch, how have you have been enjoying Apple’s wearable device? Let us know in the comments below.